Andy Jefcoate presents the Mighty Trolka the biggest soldiers on Valon in this hobby article for Flintloque. 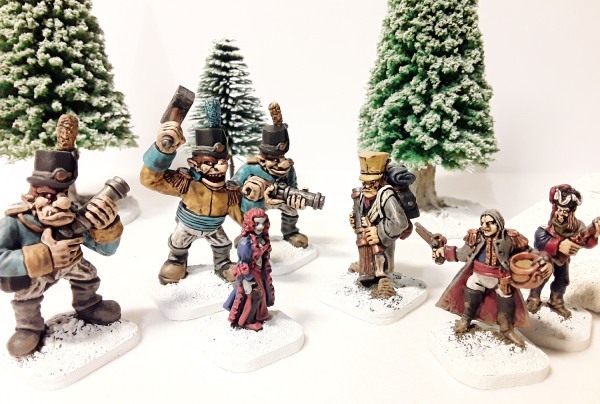 Adventuring in the Witchlands and having already faced Zombies, Werewolves and Vampyres this final article for the year looks at the Kannonderbuss, the musket of the Trolka (which is basically a cannon) and talks about painting his Trolka plus putting Undead Trolls into the forces of the Dark Czar. Click through to read and see more. This entry was posted on Monday, November 5th, 2018 at 15:03 and is filed under News. You can follow any responses to this entry through the RSS 2.0 feed. You can skip to the end and leave a response. Pinging is currently not allowed.